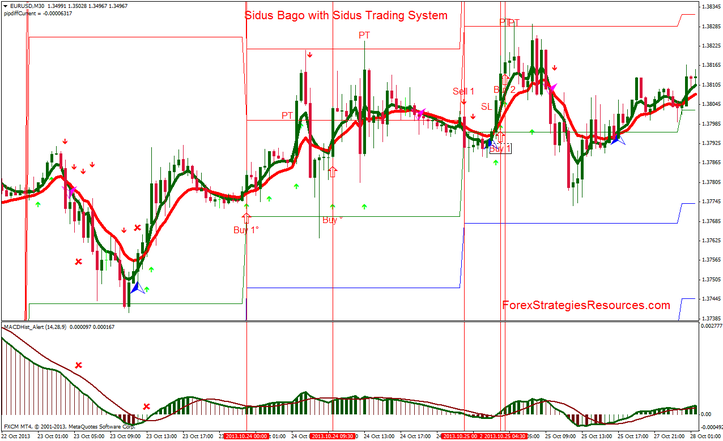 Sidus Bago with Sidus Trading System is trend following forex strategy based on Sidus indicator. 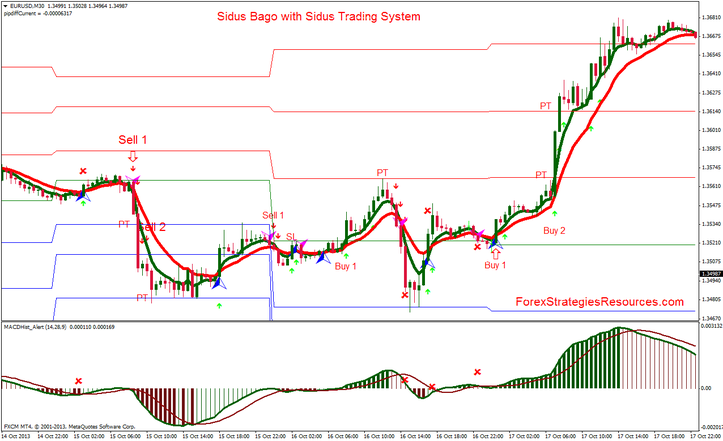 A Long position can be taken when appears the Buy arrow of the Sidus bago or Sidus. At the same time, MACD histo alert indicator bars crossing above the zero line (MACD >0). A Short position can be taken when appears the Sell arrow of the Sidus bago or Sidus. At the same time, MACD histo alert indicator bars crossing below the zero line (MACD >0). Note: After that appears Sidus bago arrow, open up two trades with Sidus indicator, in the same direction of Sidus Bago. Initial stop loss 5 pips above or below the Sidus bago indicator. Take profit at the pivot points levels.